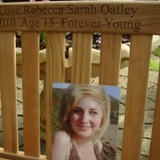 Rebecca's mother Sonia asked us to make and donate a memorial bench to mark the first anniversary of Rebecca tragic death. 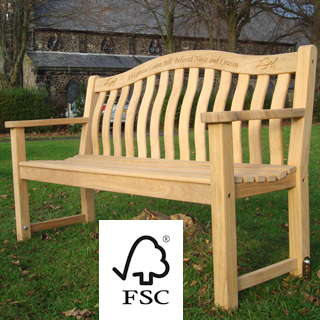 We have never donated a bench before, but in this tragic case we were moved to do so. 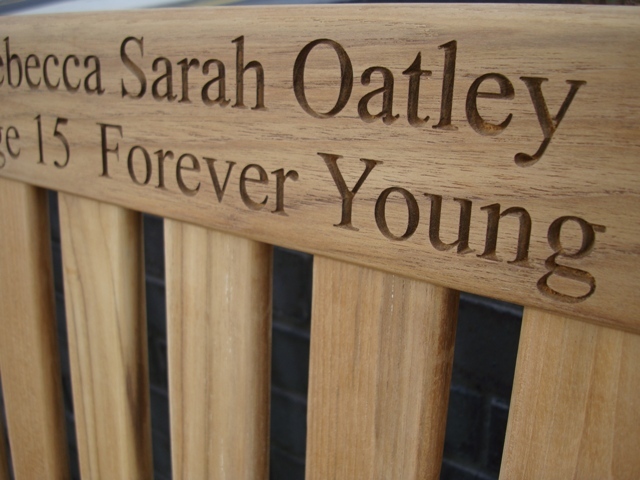 We were given very short notice for this job as it had to be ready for a press conference in Bridgend on Monday 17th September, where Sonia would be making an important statement about civil action in connection with Rebecca's murder. 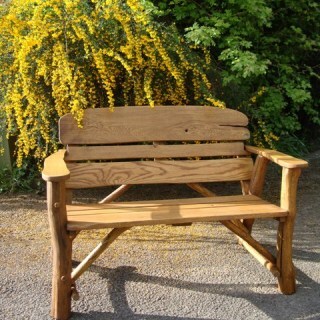 I made a special trip South Wales to present the bench to Sonia in time for her press statement and later took the bench to a local school where rebecca had studied. 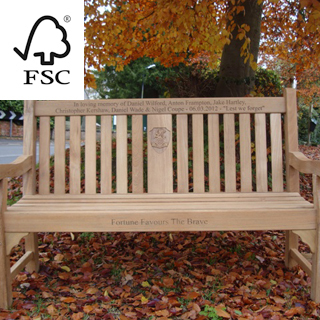 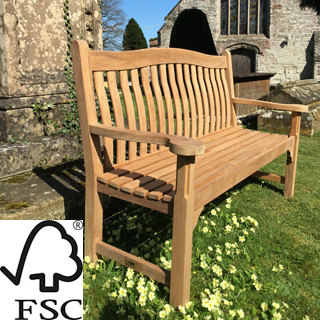 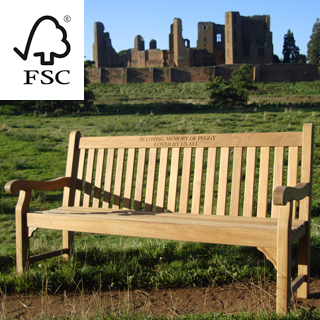 The bench used for the donation is a signature FSC teak bench the Chelsea 1500, the wording on the top rail was in Times New Roman font 1 inch high in 2 lines using upper and lower case. 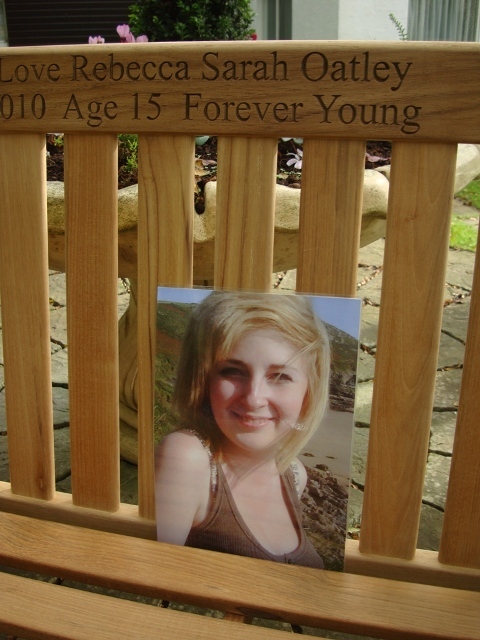 I would like to thank John Caldwell and all who worked on my daughter Rebecca's memorial bench that was so kindly donated by the firm, not only did they donate the bench John personally delivered it to us here in Wales stayed through the press conference and then transported it to Archbishop Mcgrath school to be put in the memorial garden. 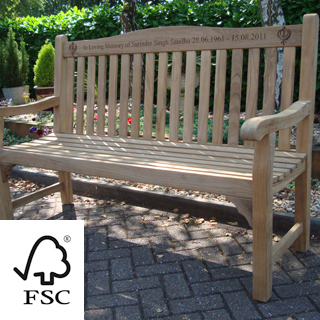 The craftmanship of this beautiful bench is second to none and would highly recommend them I will in the future be creating another memorial garden for Rebecca and will definately be coming back for another bench. 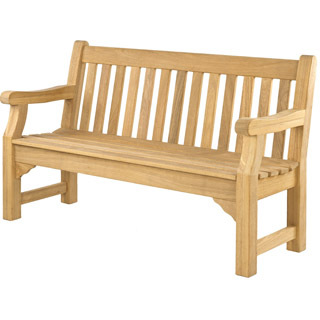 I cannot thank you enough for this lovely gesture. 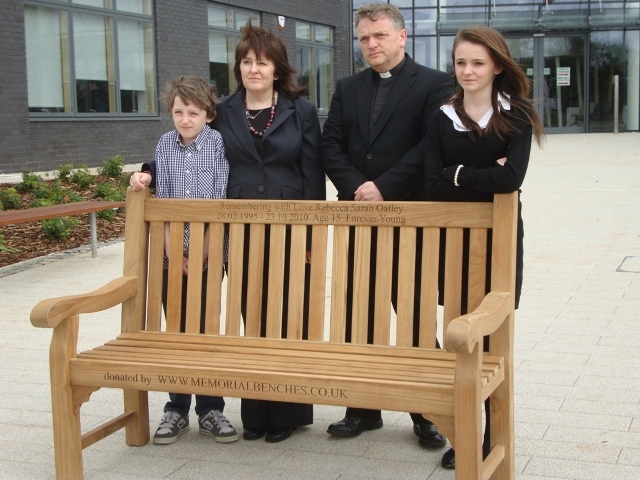 wales online local report: "A memorial bench, made free of charge by John Caldwell, of Warwickshire-based firm Memorial Benches, will be placed at Rebecca’s former Archbishop McGrath Catholic School to mark the anniversary "